Pnina: I was born in Ethiopia and arrived in Israel at the age of three as part of an operation called Operation Moses. The objective of Operation Moses was to evacuate Ethiopian Jews and bring them to Israel. My upbringing as a black Jewish woman made me become very active in the struggle against racial discrimination and for equal opportunities. Who I am, defined and shaped my personality. At a very young age I realized that discrimination against black people happened throughout history and remains very much alive to this day. I realized that in order to fight for people to accept us, we need to fight and don’t give up. And that’s what I’ve now been doing for twelve years. After I got my law degree, I started working as a reporter for a news channel in order to influence public opinion. Then I ran as a candidate for a seat in the Israeli parliament, the Knesset, won, and became an MK. Pnina: I believe that human beings are equal and that racism needs to be eradicated. The way to do it is with zero tolerance and by not giving up. As a Jew, I was raised to love and to help others. This is a great motivation to fight for the rights of minorities. That and the fact that I grew up in a home of new immigrants who came from a rural village to a modern country. Pnina: For me, the biggest challenge is to eliminate discrimination based on religion, gender and race. Children’s rights are an issue that is very close to my heart. 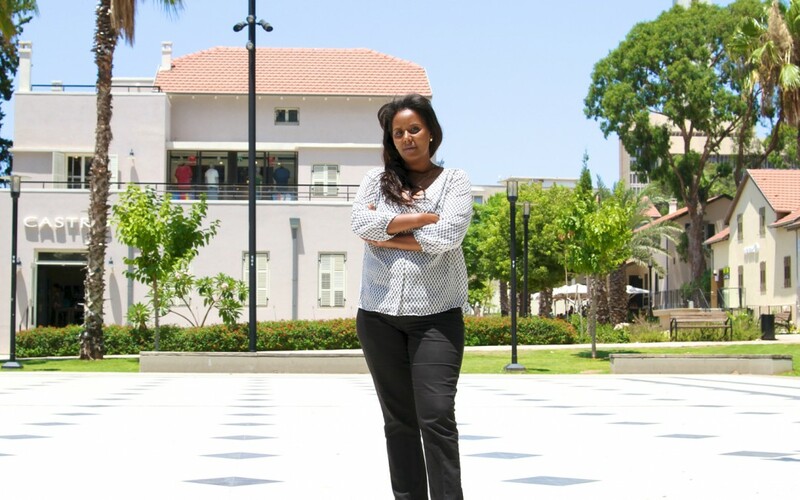 Pnina: I was the first Ethiopian-born woman to hold a Knesset seat! I managed to introduce legislation to strengthen the rights of immigrants and newcomers to Israel. Pnina: My dream is to establish an international tribunal that eradicates racism and discrimination against black people, first and foremost.